Jesse Lee Kercheval is the author of eleven books of poetry, fiction, and memoir, including Brazil (Cleveland State University Poetry Center, 2010), winner of the Ruthanne Wiley Memorial Novella Contest; the poetry collection Cinema Muto (Southern Indiana University Press, 2009), winner of the Crab Orchard Open Selection Award; The Alice Stories (University of Nebraska Press, 2007), winner of the Prairie Schooner Book Prize in Fiction; Film History as Train Wreck (Center for Book Arts, 2006), winner of the Center for Book Arts Chapbook Prize; the poetry collection Dog Angel (University of Pittsburgh Press, 2004); and the memoir Space (Algonquin, 1999). Her poetry has appeared in Denver Quarterly, The Iowa Review, FIELD, AGNI, The Southern Review, and The London Magazine. 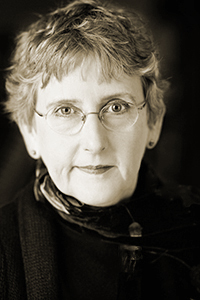 She is the Sally Mead Hands Professor of English at the University of Wisconsin–Madison, where she was the founding director of the MFA Program in Creative Writing and served as director of the Wisconsin Institute for Creative Writing from 1994 until 2010.